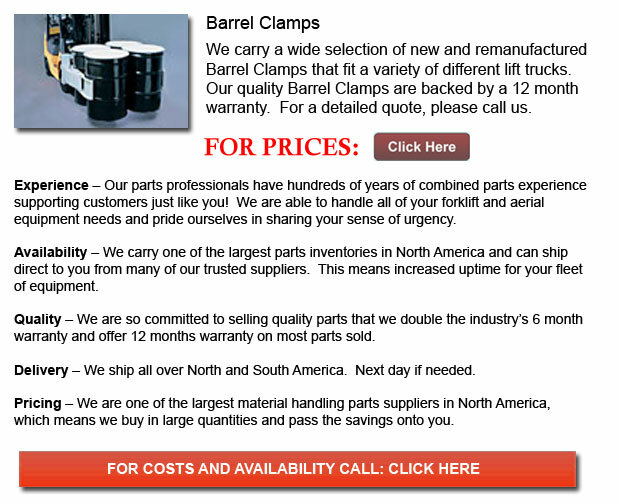 Barrel Clamps - Referred to as "Barrel Clamp", this hydraulic accessory is utilized on lift trucks so as to squeeze items that you you need to move using the forklift. Usually, they're utilized to barrels, handle kegs, and paper rolls, together with a few barrel clamp designs having the ability to revolve the cargo. Like for example, the rotate function permits the individual operating the forklift to insert a vertically stored paper inside the horizontal intake of a printing press. Copyright © 2010-2019 forkliftpartstexas.com All Rights Reserved.